Join us in Cornwall on 19th-21st October 2018 for another Wild Light Landscape & Seascape Photography Workshop. We are based at the lovely Cadgwith Cove Inn near Helston, two nights single occupancy accommodation and breakfasts are included in the cost of the workshop. The emphasis is on improving your photography whilst enjoying the company of a small group of like-minded photographers, as with all my Photographic Journeys and Wild Light Photography Workshops in Cornwall. The workshop is open to all abilities and there is no restriction on the cameras or formats, both film and digital are equally welcome on our photographic journeys! We will be covering a lot of ground on this workshop, visiting numerous iconic locations and hidden photographic gems. October is potentially a good month for the first of the winter storms and we will be keeping an eye on the weather forecast. 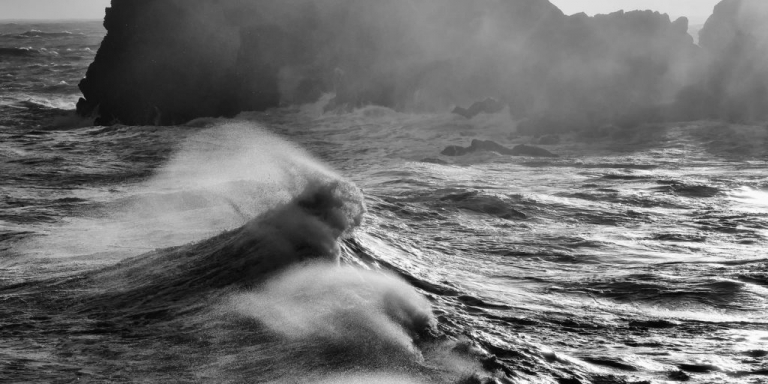 The image above was made at Kynance Cove during Storm Abigail in October 2016. With it’s secluded coves, dramatic seascapes, prehistoric sites, wild coastlines and unique landscapes, Cornwall is a photographic cornucopia. We will be spending long days outdoors and a reasonable level of walking fitness is required, but all locations are easily accessible. 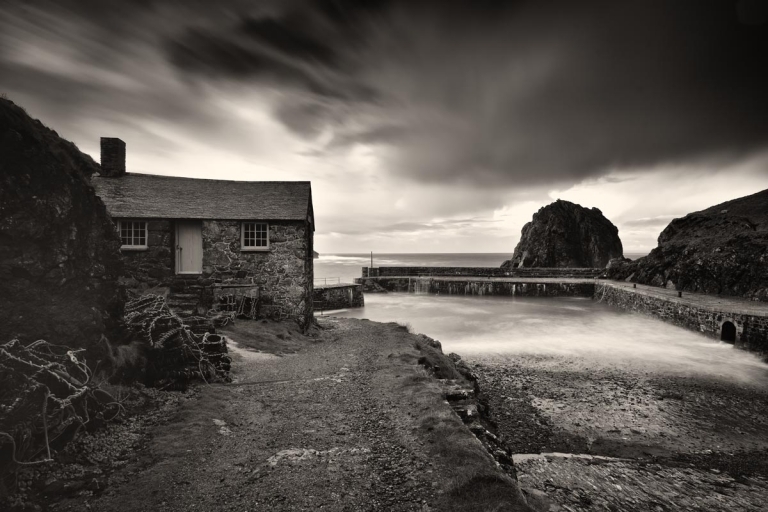 The image below was taken at Mullion Cove on my Wild Light Photography Workshop in April 2017, just a short walk from the car park. The emphasis, as always, is for my workshop participants to gain the maximum benefit from a learning opportunity within a small group of like-minded photographers. The Cadgwith Cove Inn lends itself perfectly for this, the food is good, there is a good range of drinks including real ales, ciders and wine from the bar and there is usually something happening on most evenings in the bar from live folk music to quiz nights. Be prepared for some impromptu sea shanties by the local fishermen on Friday or Saturday nights! 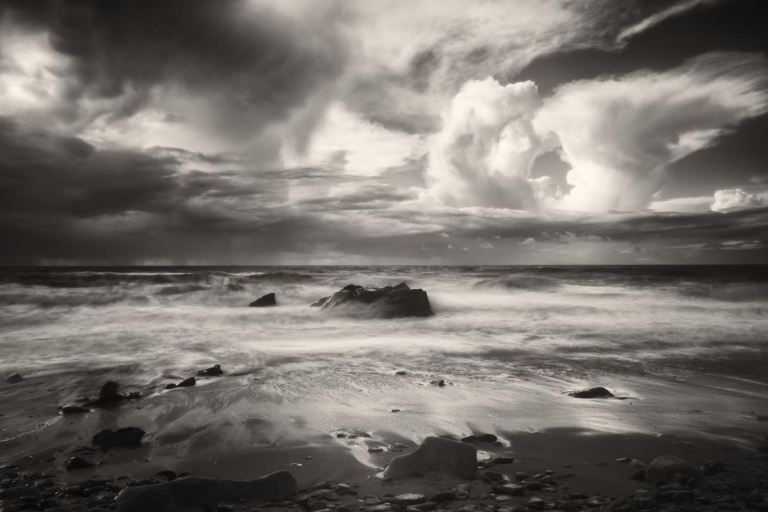 My Wild Light Photography Workshop in Cornwall is intended for all levels of ability. Whether you are a beginner taking your first photographs with a new camera or an advanced photographer building your portfolio, you can be assured of my individual attention to help you achieve your photographic objectives. You will have a great weekend away, get to see and photograph quintessentially Cornish locations, improve your skills and make new friends. Three places are availableand I look forward to welcoming you on our Wild Light Seascape & Landscape Workshop in Cornwall.